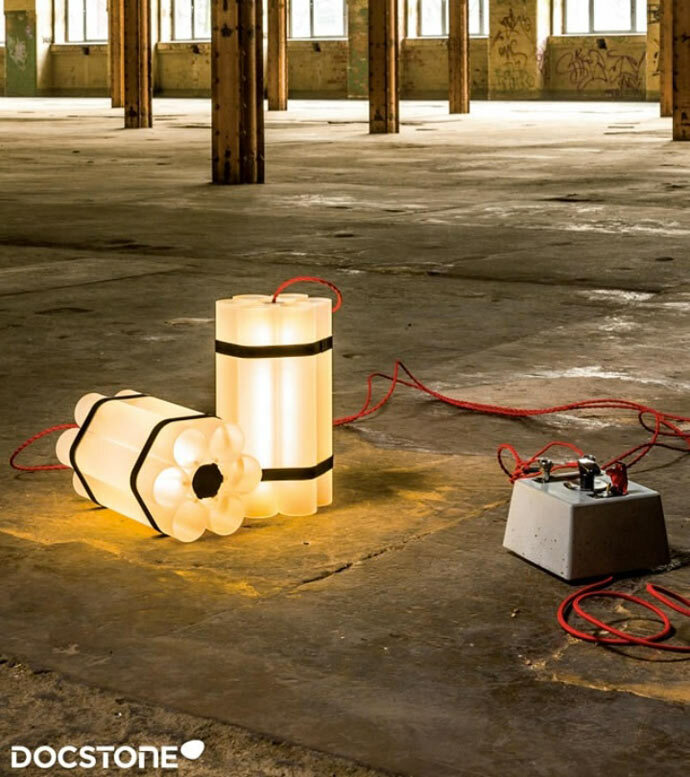 Brace yourself for two explosive lamps suitably called Mr. Boom & Little Ms. Dynamite! No, don’t worry, these lamps are not going to explode in your face. They are called ‘Boom’ and ‘Dynamite’ because they are made in the shape of a detonator and are so lifelike that your house guests might easily think that you have acquired yourself a real-life explosive triggering device or are considering a career in demolition. The brains behind these anything-but-discreet lamps is a German company called Docstone, a quite original design label which uses cement, believe it or not, as the inspiration behind most of its products. Let’s talk about Mr. Boom first. 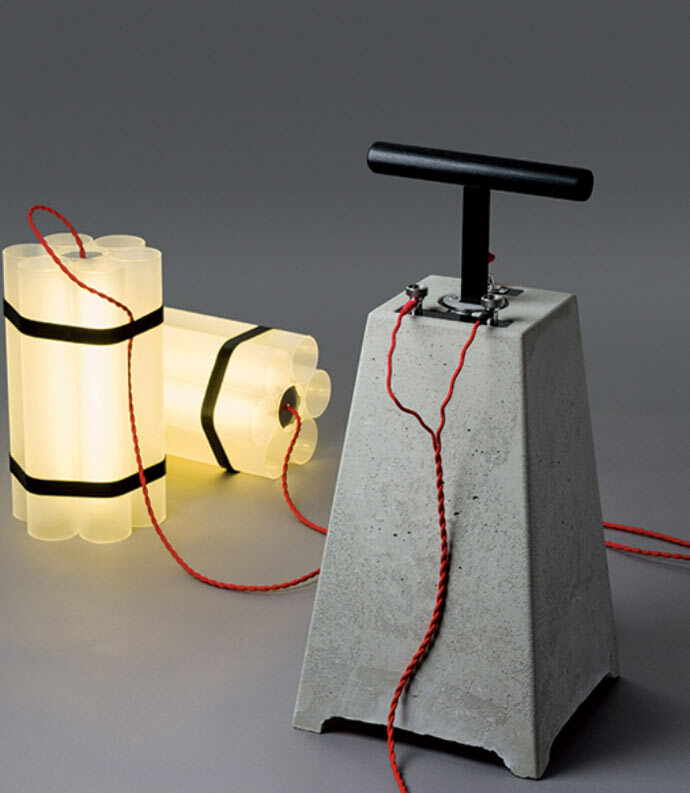 The ‘detonator’ part of the lamp is made from concrete, and the lamp has a beech dimmer crank and a textile power cord. 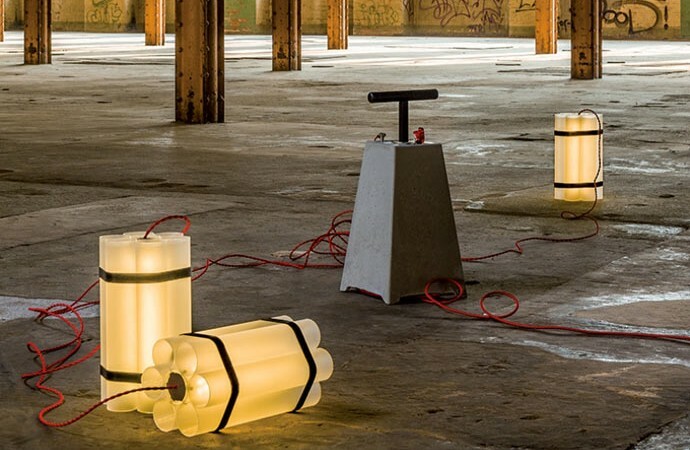 The LED light emanates from the borosilicate glass tubes which resemble dynamite sticks. So, how do you ‘fire’ this lamp? 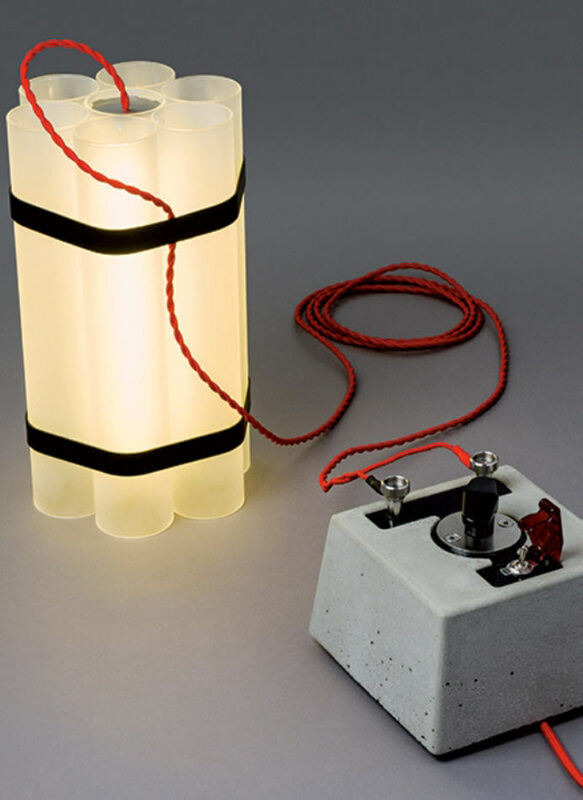 The first thing you need to do is to connect the LED dynamite sticks to the lamp’s body (which is shaped like an old-fashioned detonator), flick the master switch into the ‘armed’ position, and ‘boom’ – the lamp is on. You can control ‘the explosion’ of light via a crank. Little Ms. Dynamite is petite, but equally ‘deadly’ when it comes to diffusing light. The designers affectionately call it ‘a bombshell’, pun intended. Little Ms. Dynamite weighs 3 kg (as opposed to Mr. Boom’s 11 kg), and you fire it / turn it on in a similar fashion as its masculine counterpart. You connect one or two light ‘bombs’, turn the switch button into the ‘armed’ position, slowly turn the control dimmer and watch Ms. Dynamite transform into a lighting piece of art. 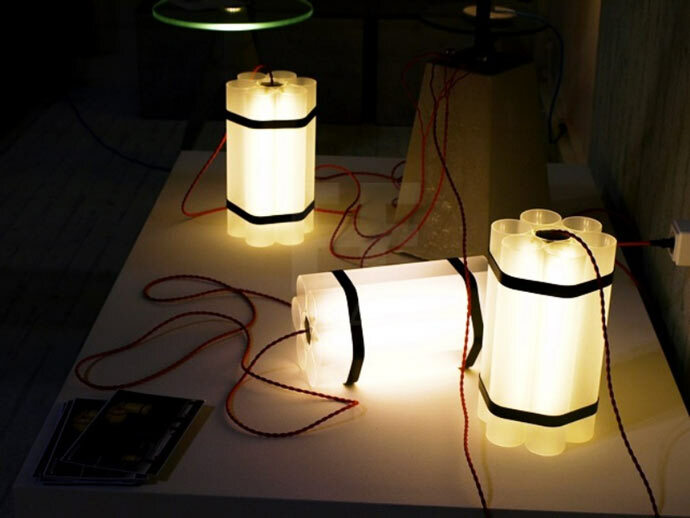 These ‘expressive lamps’, as their makers call them, were exhibited in the SaloneSatellite at iSaloni 2013, understandably attracting a lot of attention.